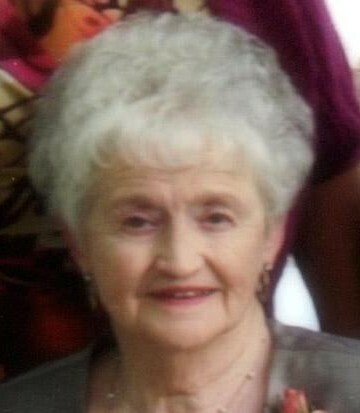 BOWERS, Billie June Smiley Age 80 of Goodlettsville, passed away October 28, 2012. June was a member of Goodlettsville Cumberland Presbyterian Church. She was preceded in death by her husband, Andrew Lee Bowers, Jr.; grandson, Jacob Ryan Bowers; parents, William "Bill" Perry Smiley and Carrie Ella Albert Smiley; brother, James Albert Smiley; sister-in-law, Faye Smiley Pope. June is survived by her daughter, Judy Bowers; daughter, Cindy (Michael) Jones; son, Andrew Lee (Melody) Bowers III; brother, Lynn "Doc" (Shirley) Smiley; sister, Nancy Smiley Stein; grandchildren, Missy (Kent) Kamer; Ellen Holman, Andrew Lee (Lisa) Bowers IV, Dane (Courtney) Bowers, Tully Bowers, Anna (Josh) Bowers; great grandchildren, Alex Kamer, Kaden Bowers and many nieces, nephews and cousins. Family will receive friends Tuesday, October 30, 2012 from 4-8 p.m., at Cole & Garrett, Goodlettsville. Funeral service will be 11 a.m. Wednesday, October 31, 2012 with visitation 2 hrs. prior to the service. Bro. Tim Stutler officiating. Pallbearers are Andrew IV, Dane, Tully Bowers, Danny Mark, Kevin, Kyle Smiley. Honorary Pallbearers will be Kent Baldwin, Kaden Bowers, Chip Brake, Brian Collingsworth, Brian and Freddy Biggs, Daniel Smiley, Josh Valley, Doug and Earl Hall, Johnny and Bobby Carpenter, Boyce Jr. and Dennis Byrum, and the Fidelis Sunday School Class and Circle 3 of GCPC. Interment Spring Hill Cemetery of Robertson County. COLE & GARRETT FUNERAL HOME, (615) 859-5231. Our deepest sympathies and condolences to family members. Losing someone you love can be a painful thing. May you find peace knowing that she is in a better place. She was a wonderful lady. My prayers and sympathies to the family….wish I could be there to celebrate Billy Junes life with you all.